Recently we’ve been loving ScoutingNY, a blog by Nick Carr, 27, that takes a unique, up-close look at the intricacies, designs, buildings and other locations in NYC that go ignored as we’re on our way to work or popping out for a coffee. 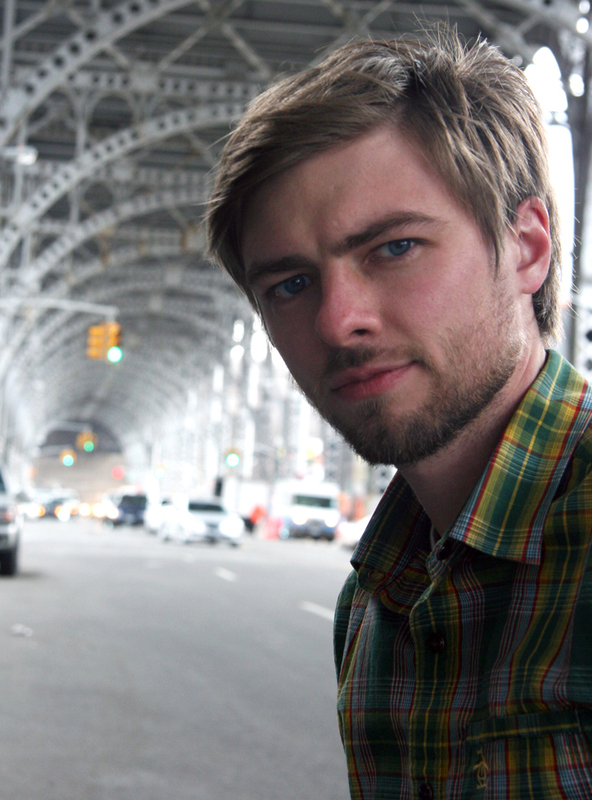 Carr joins us today for a Q&A, and talks about some of the craziest places you’ve never seen in New York City. You’re a location scout for movies. How does one land a gig like that? Weird series of events. I started my career by working as an assistant to an indie producer, the only film job I could find out of college. I was making $100/week and barely getting by. The movie I was working on ran out of money (obviously not due to my salary), and I was unemployed…but not for long! Someone from the indie flick went on to War of the Worlds, and when he heard of a job opening in the locations department, gave me a call. I had to start at the bottom, but it only took a few jobs to get into scouting. What must-see, lesser-known locations would you recommend to a newcomer to the city? Anything I write about on my Web site! There’s a beach house literally on the roof of an apartment building at First Street and First Avenue. There’s a river below Fifth Ave that still flows to this day, and you can see it flowing in a fountain in the lobby of 2 Fifth Avenue. You can also check out a full location-by-location write-up on movies such as Ghostbusters and Taxi Driver on my site. How long does it usually take to scout out the filming locations, and what all goes into that? Anywhere from a day to weeks, all depending on the location. Much of what we do is based on experience, buildings or neighborhoods we know are film-friendly. When we run out of initial ideas, we simply go door to door knocking. We keep submitting options to the director until he chooses one, and I’ve seen that number get as high as 200-300 for a single location. What do you enjoy most/least about your job? I enjoy having a different workplace each week during shooting, and the freedom to roam the city pretty much at will. The long hours and freezing winter weather can be tiring, however. Do you mostly work on movies, or commercials and TV shows as well? Nearly always movies. It’s consistent work over a several month period for decent pay. TV is completely insane — for an episode of Law & Order, for example, you have a week or two to scout for an episode being filmed the third week. The pluses are that it’s a very reliable gig lasting up to nine months, and you even get benefits. Commercials pay a lot for the short period you’re employed, but obviously don’t last very long. So you’re always on the lookout for another gig. Have you come upon a New York location in a film that continues to stump you? Never been stumped, but I have been disappointed. It’s easy to get an idea of a location in your head you believe HAS to exist somewhere in the city, only to be disappointed when you find out the reality doesn’t match your imagination. Many of the most expensive penthouse apartments I’ve ever been have turned out to be…well, a bit smaller than I expected. Alleys in New York are often less dank and disgusting than movies would have you believe. What locations used in a film have you found that you are especially proud of? 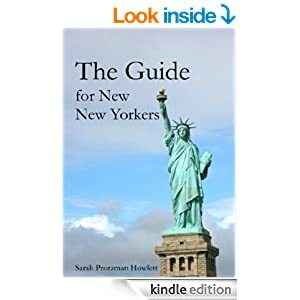 If you’ve uprooted your life and are living paycheck to paycheck to fulfill your dream of calling New York City home, it goes without saying that your job is central to keeping you here. But what if it goes away? Do you have a plan? • Ex-nay on the self-pity and panic. Losing self-control uses energy you should be investing in finding a new job. While everyone else is losing time wallowing, you’ll be proactively on to the next thing. Hey, it’s not cancer. You will be OK.
• Save money. If you don’t have an emergency stash, I will not sugar coat this for you: Be very afraid. Start one. Yesterday. • Make a list of everyone who could bail you out if you lose your job. Contact these people NOW, just to check in. Think about who has connections, and who could get you informational interviews or offer freelance/contract work. • Talk to anyone who’s ever been fired. Chances are, they are better off now than they were. Many of the people I know who have been fired like their jobs and circumstances better now than they did the day before they got fired. • Remember past employers. What skills would allow you to have income again right away? Did you work at a diner in college? At a retail chain that has stores in the city? Do you know how to bartend? If you have no savings to fall back on, kiss your vanity goodbye and get any job you can while you keep looking. • Listen to what’s being said regarding your severance pay, benefits, etc. Remove yourself emotionally, if only for those five minutes, to hear them out, because this is important stuff. • Do not show anger, and try not to cry. (See: “You assholes! How can you do this to me? I have bills to pay!”) Despite what you may believe, nobody owes you a job, and that’s a fact. • Don’t burn a bridge. Assuming they want to, the people firing you today may be able to hire you back someday soon. If you are still interested in having a career at this company, let that be known. It shows your professionalism and forward-thinking…ness. In conclusion, I hope none of you gets fired. But if you do, PLEASE remember that IT WILL BE OK. You are young, probably not a homeowner, probably not a parent yet and your best days are ahead of you. Don’t wait until the day you get the boot to make preparations for what comes next. You owe it to yourself!